On Wednesday, September 14th at 3:00 p.m., the City of Cleveland will issue an alert message to Cleveland residents via the city’s mass notification system CodeRED. Download the CodeRED mobile app here. This alert, known as an “All Call”, will familiarize users with the CodeRED notification process and ask users to reach out to friends and family who have not yet added their contact information to the database. The City of Cleveland is encouraging all residents and businesses to go to the City of Cleveland’s website (http://www.city.cleveland.oh.us) and click on the CodeRED logo located on the right side of the page. If you are already signed up, check your contact information, including additional phone numbers, and text and email addresses, to ensure all of the data in our system is accurate and current. The City of Cleveland implemented the CodeRED system earlier this year to quickly deliver alert messages regarding emergency situations (severe weather) or city service interruptions (road closures) to residents. 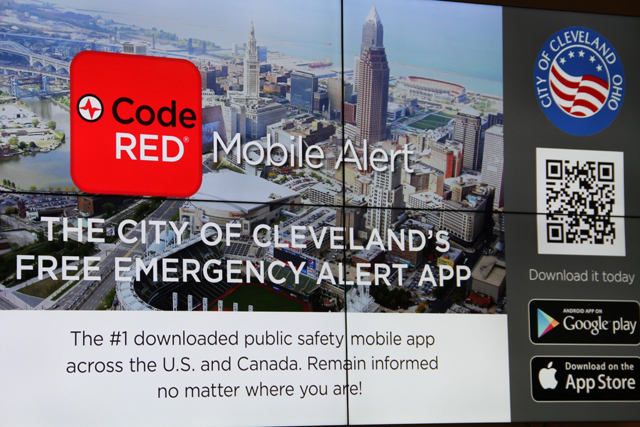 Residents, visitors, and those who work but do not live in Cleveland are encouraged to register and download the free CodeRED Mobile Alert app.